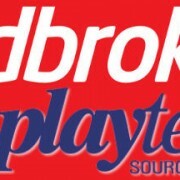 Playtech’s latest live dealer table is roulette … with a difference. 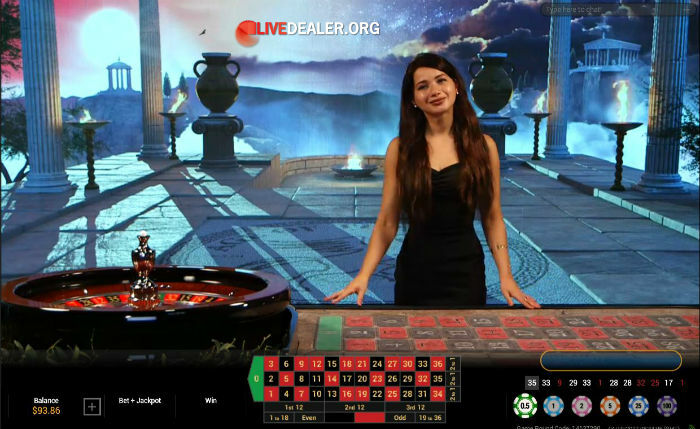 They call it AGE OF GODS™ live roulette; so called because they’ve added their Age of Gods 4 tiered progressive jackpot to the table. What does all this mean? 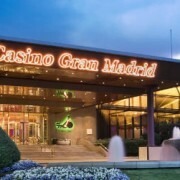 Well basically when you open this table, you are defaulted to be in the running to win one of 4 progressive jackpots, simply by playing roulette (European) as you normally would. 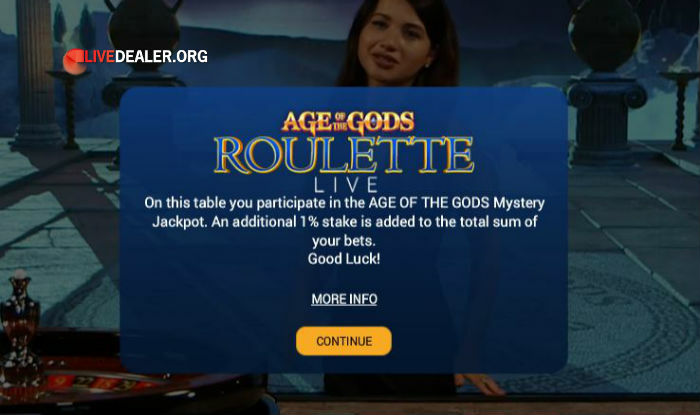 When you place your bets, as you would playing any other live roulette table, an additional 1% of your bet stake (to a maximum of €10 per bet round) is deducted from your account as a contribution to the Age of Gods jackpot pool. 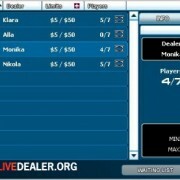 All players playing this table, across multiple participating casinos will be contributing to the jackpot pool, and it (they – there are 4) climb accordingly until being won, at which point they reset to their seed values. 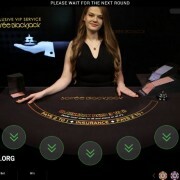 You can turn the jackpot off (table settings) if you don’t wish to participate. Player contributions boost boost these values considerably. When playing the game moments ago the Ultimate Power jackpot was closing in on €700,000! You’re completely in the lap of the gods here. Other than participating in the game of roulette there is nothing more you are required to do. 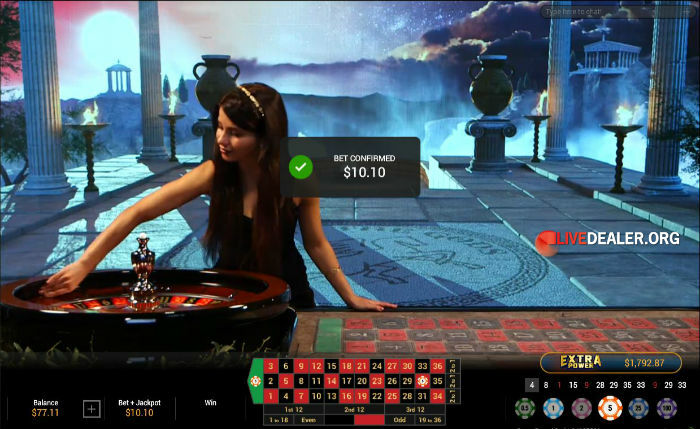 You will notice that every time you place a bet your jackpot contribution is included in your ‘BET CONFIRMED‘ notice…as illustrated below where a $10 bet results in a $10.10 confirmation. 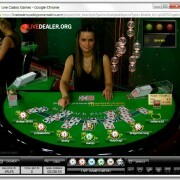 Beyond this, at some point following a spin you have placed a bet on, you will be selected to play the jackpot game. Up will pop a new game screen and the aim of this game is to match 3 jackpot symbols (ideally the Ultimate Power jackpot) by flipping the 20 presented coins. First jackpot you match 3 times, you win. Here’s Playtech’s AGE of GODS house rules; or below, a very nice explanation of how it all works by the dealer.